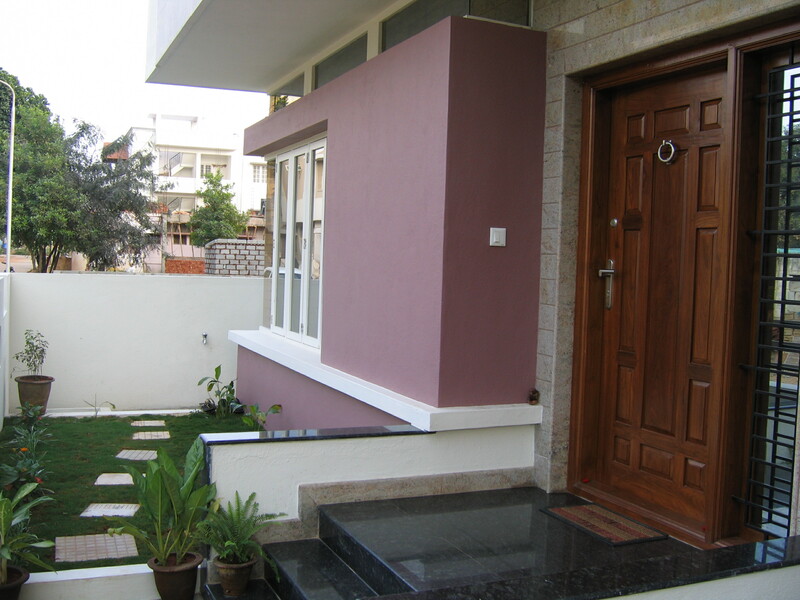 A Residential Building in the heart of Bengaluru. 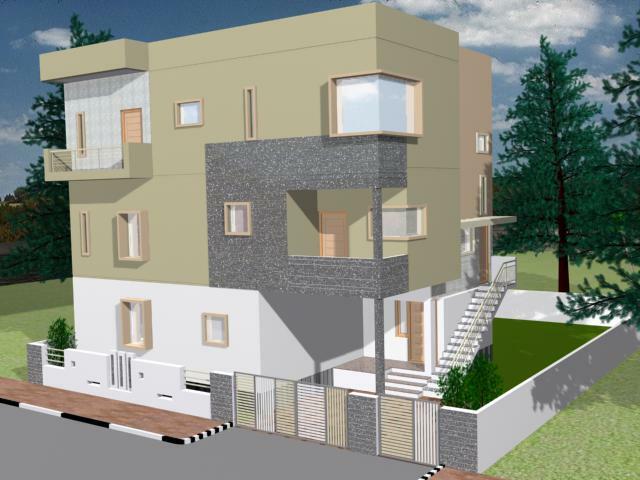 Origin Projects emphasized on utilizing the natural resources available in this project. A deep interest towards the use of large windows and ventilators was shown, to allow natural sunlight to brighten the house. The main door opens into an anteroom with a few steps to reach the hall area. A length of French windows fills the hall with daylight. 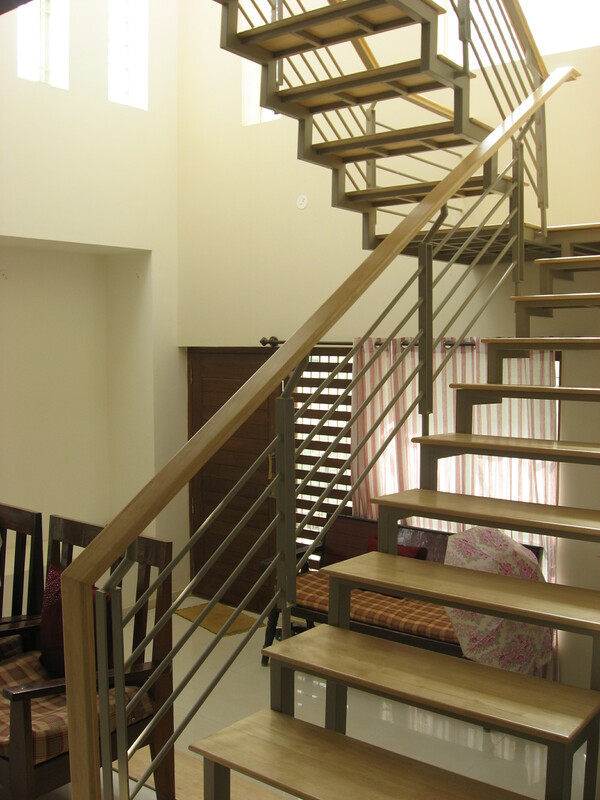 Wooden steps and handrails on fabricated stairs lead to the upper floors. Partial wooden flooring towards the wall and a broad band of laminate on the wall and ceiling breaks the monotony. An opening in the roof above the stairs fills the area with daylight. The kitchen is planned besides the stairs. The kitchen, equipped with amenities, two work tables opposite each other, chimney and hob, a fridge, is accommodated in a fairly large area. The storage cabinets find place on the all round chhajjas, sparing the walls. A utility and washing area besides the kitchen avoids soiling the kitchen. The stairs leads to an area with wooden flooring with access to the rooms on the floor. 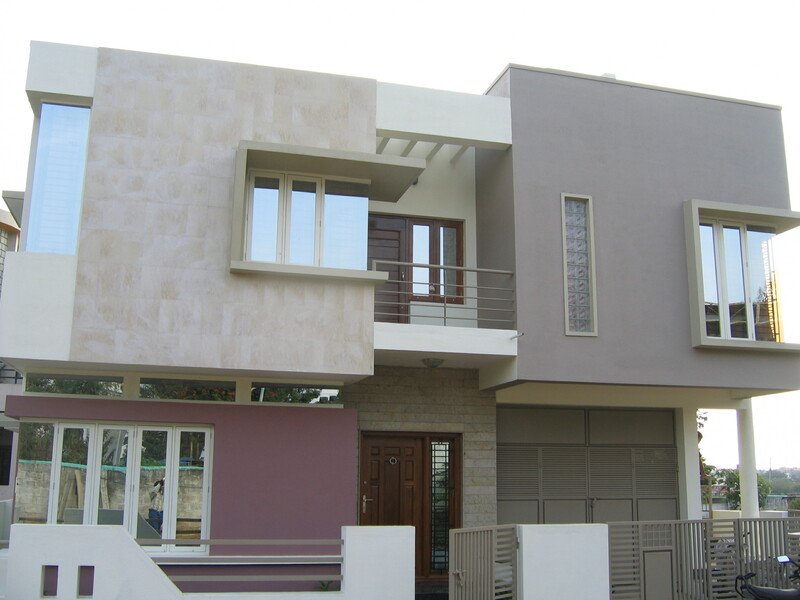 A well designed opening in the roof and wall enlightens the veranda, giving a view of the sky and surroundings. A curved short wall with gate-post lights gives a feeling of stepping out in the open.